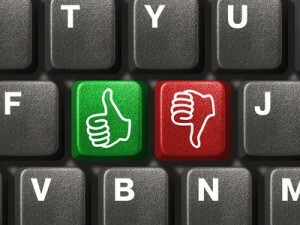 Up/Down or High/Low Binary options are as simple as they sound. An investor speculates whether the price of an asset will finish above or below a current price at the point of expiry. - An investor first chooses an asset to trade (indices/commodities/stocks/currency options). - The investor will then decide whether to choose a „call” (increase in price) or „put” (decrease in price). - Once the investor has chosen the direction in which he thinks the asset will move in, he will then decide on an investment to place. - As soon as the trade is placed, the live price (the price at that moment in time) is classified as the „strike price” (price at the point of trade entry), the trader then waits until the point of expiry (when the trade is deemed over) to discover whether he has won or lost on the trade. The main advantage in using Up/Down binary options is the simplicity involved as well as the ease of use. A single decimal point in the right direction will allow the trader to „win” and a full payout percentage on the money placed can be obtained. In the morning, a trader sees that gold seems to be trading for a lower price than it has been trading for than a couple of days ago. Therefore, he decides that an hour from now, gold will be trading at a higher amount than it is at right now. He then decides to place an investment of $100 with the belief that the price of gold will increase an hour from now. If in an hour, the price has gone up, the trader will get a healthy return on his investment. The payout for Up/Down binary options will depend on the type of asset an investor is trading, the period of time which is set for the expiration date, as well as the on the broker which is chosen. However, the payout tends to be around the 70-85% mark. A one touch option in binary trading is an option that pays off if the underlying asset reaches a certain level, by a certain time. One touch options provide an investor with the opportunity to trade very profitably, and numerous strategies exist which can be used to trade them which will lead to very generous returns. However, trading in this style is based on „implied volatility.” Therefore, an investor can either expect huge returns or huge losses. Let’s use currency options as an example. Say that the EUR/USD closes at 1.35140 on Thursday. A trader will then have the option to decide whether to „call” (rise in price) – the EUR/USD will rise and reach 1.38140 at the end of the following week, or decide to „put” (decrease in price) ­– EUR/USD will fall to 1.32140 at the end of the following week. If the trader correctly selected the way in which the price of the currency options would move, he would have „won” on the trade leading to a high payout. Keep in mind that to „win” the price would had to have reached a certain point anytime before the expiration date, i.e. it doesn’t matter what price the asset closes at as long as it „touched” the amount an investor predicted. Just like High/Low Binary trading the payout will depend on the type of asset an investor is trading, the period of time which is set for the expiration date as well as the on the broker which is chosen. However, the payout for One Touch trades is typically much higher than Up/Down trades and is generally somewhere between 250-400%. Although it can reach a staggering high of a 700% return on investment and a low of a 65% return on investment. The majority of time frames for Up/Down binary options are 30 or 60 minutes. However, many brokers also offer 60 second binary options, but these tend to be maxed out at a figure of around $100. Some binary options brokers also offer daily expiration dates and even weekly expiration dates as well. - Short term expiration: This means that the expiration of options is typically only a few minutes or an hour after an asset has been purchased. However, to trade binary options in the short term, broad indicators such as current events are not helpful because the possibilities that exist for price variations during this short amount of time are numerous. Real time technical graph analysis has to be relied upon instead as well as gut instinct. - Medium term expiration: This means the expiration date is several hours after an asset has been purchased. Several important factors can be taken into account such as real time technical charts as well as external events which could affect the price – a political meeting or economical publication for example. - Long term expiration: This means the expiration date is one or several days after an asset has been purchased. Therefore, real time chart analysis does not have to be worried about. However, current news and external events are very important and should be carefully analyzed. When deciding to engage in binary trading, it is of the upmost importance for a trader to understand and choose the expiry dates which they are most comfortable in dealing with.